​Selenium is an antioxidant that defends against the free radicals that damage cells and lead to premature aging. Selenium’s antioxidant status also supports the immune system by helping to create important antibodies. 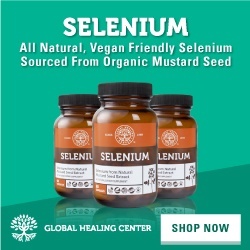 Global Healing Center’s readily absorbable selenium formula is produced in the USA at a state of the art manufacturing facility equipped with all modern equipment that adheres to cGMP guidelines and has achieved ISO 22000 certification -- the highest in food safety. If you are not satisfied, just let us know and we’ll send you a prompt refund. No questions asked. Readily absorbable, premium formula is made in the USA in a state of the art manufacturing facility. Your satisfaction is personally guaranteed by Dr. Group! 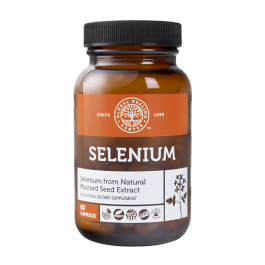 "You will have better results with Selenium with any other selenium product in the world, guaranteed or your money back!